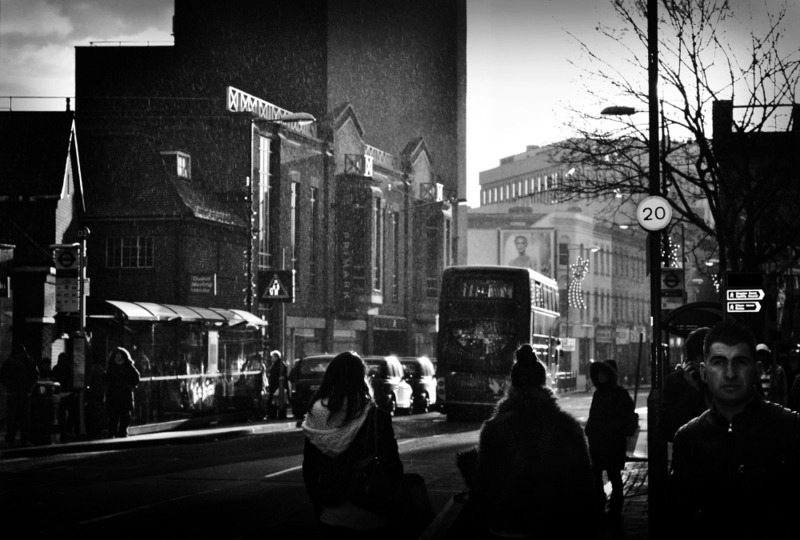 Daryl Johnson (Worcester Park, United Kingdom) on 20 December 2011 in Documentary & Street and Portfolio. Yesterday in Kingston-Upon-Thames. The sunlight shining through this very fine rain shower gave an interesting effect. Beautiful light, a very timeless scene! @Hans ter Horst: Thanks Hans. Fantastic monochrome image, you've captured this light superbly. My DragonDictate went nuts when I tried to say ”!”. @Steve Rice: It's okay Steve, I kind of think it is my 'mission point'!